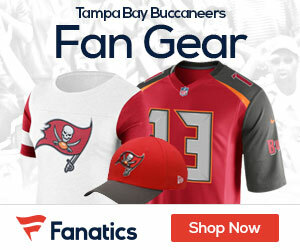 Are the Buccaneers done after Sunday’s showing? The Bucs have reverted to Raheem Morris’ first season as head coach, with poor tackling, discipline, and execution. The Bucs have now gone three straight games displaying poor angles taken on defense and opting for arm tackles instead of basic fundamental football. They also killed themselves on third downs, essentially negating big first down plays with untimely penalties. Freeman is not at all the same quarterback he was a year ago, and now has 7 picks in his last three games alone. Three came in this game, with his only score coming in the 4th quarter after the game was well over. Another head scratcher is why LeGarrette Blount is not being fed the ball on a more consistent basis? Raheem has not been consistent with the back this season and has been quick to abandon the run game in order to get Josh Freeman out of his funk. It has worked against him, failing to provide any semblance of a balanced attack worthy of keeping opposing defenses on their toes. At this point, the lack of basics the Bucs are displaying the blame falls mainly on the coach and is something to be considered addressing in the off season if things don’t turn around. Next: Sunday November 20 at Green Bay Packers, 1 ET.